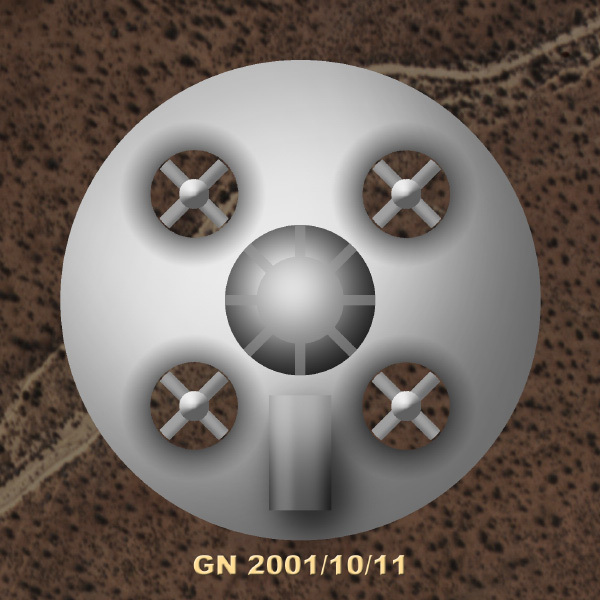 Goal: a mid-size disc shaped VTOL aircraft, without wings or rudders. 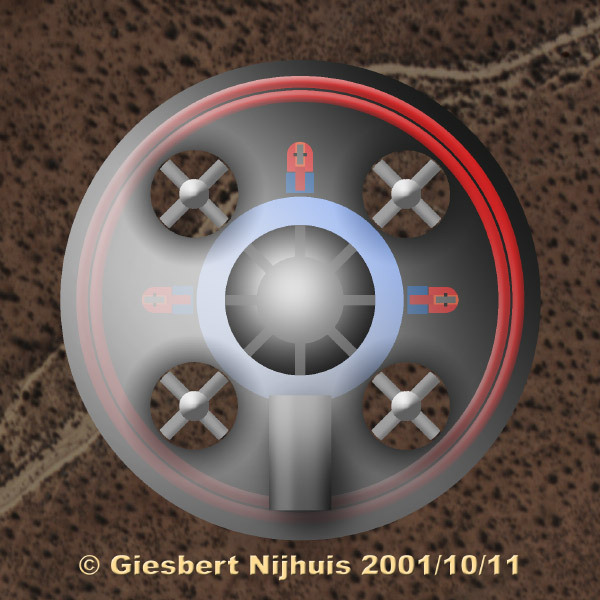 - four ducted fans for VTOL. - one air compressing engine drives all devises.